By packing a remedy for wheat allergies into the grain, a team of international scientists, including researchers at WSU, are helping develop crops that can help people with celiac. Researchers at Washington State University have helped create a new, genetically distinct variety of wheat that’s safer for people with celiac disease, opening the door for new treatments and healing potential for the staple grain. For more than 2 million people in the U.S. who suffer from celiac disease, traditional staples like wheat bread and pasta are off the menu. With celiac, the body’s immune system reacts when we eat gluten—the protein that gives breads, pasta and cereal their chewy, crunchy texture—causing nausea, cramps, malnutrition, and other health problems. There is no treatment for celiac, other than avoiding foods made with wheat. Scientists at WSU who helped develop celiac-fighting grain gather at the R.J. Cook Research Farm near Pullman. From left are Nuan Wen, Nii Ankrah, the late Diter von Wettstein, Shanshan Wen, Sachin Rustgi, Rhoda Brew-Appiah, Claudia Osorio, and Jaime Mejias. Working together, scientists at Washington State University, Clemson University, and partner institutions in Chile, China, and France developed a new genotype of wheat with built-in enzymes designed to break down the proteins that cause the body’s immune reaction. 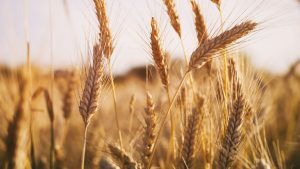 Their discovery, published in the January 2019 issue of Functional and Integrative Genomics, opens the door to new treatments for celiac and for new wheat crops with a built-in defense against the disease. The scientists introduced new DNA into wheat, developing a variety that contains one gluten-busting enzyme, or glutenase, from barley and another from bacteria, Flavobacterium meningosepticum, which break down gluten proteins in the human digestive system. Simulating the human body’s digestive tract, scientists tested gluten extracts from the experimental grain and found that it had far fewer levels of the disease-provoking proteins. The enzymes reduced the amount of indigestible gluten by as much as two thirds. These new wheat genotypes open new horizons for treating celiac disease through enzymes in the grains and food we eat, while increasing agricultural potential for the staple grain. 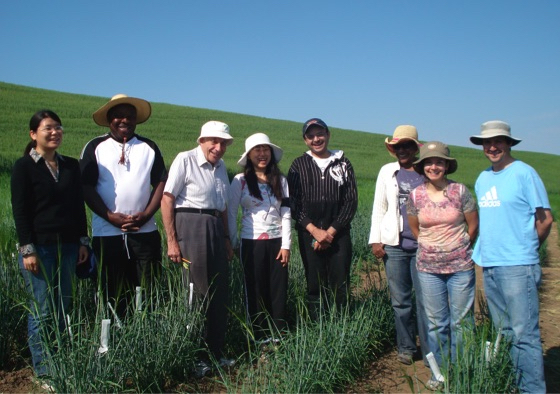 Along with Rustgi, the research team included Claudia Osorio, a WSU-affliated scientist based at the Center for Nutritional Agro-Aquacultural Genomics in Chile; WSU affiliate Jaime Mejias with Chile’s Institute for Agricultural Investigation (INIA); Nuan Wen, WSU Molecular Plant Science researcher; Bao Liu, scientist at Northeast Normal University, China; and Stephen Reinbothe, scientist at Université Grenoble-Alpes. Also credited in the paper is Rustgi’s colleague, the late Diter von Wettstein, a distinguished WSU professor in plant genetics and member of the National Academy of Sciences. Von Wettstein died in 2017 at age 87. The project was launched at WSU, where the initial wheat varieties were developed. 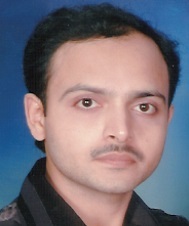 Detailed biochemical analysis was then done at Clemson University. Since most wheat products are baked at hot temperatures, Rustgi’s team is now developing heat-stable variations of these enzymes. The new, biotech genotype is still at the research stage, and has not been approved for sale.